However old your child is, it’s never too late to develop a love for reading. Make those small but significant steps in the right direction and watch your child discover a world that will stimulate her curiosity. On a recent flight back to Mumbai, the kids had their noses buried in books, waiting for the flight to land as it did its usual circling above the over-congested airport. A lady sitting across the aisle leaned over and asked me how I managed to get my children to read in this era of smartphones and tablets. She told me that she was an avid reader but somehow, she hadn’t been able to get her child interested in reading. I thought about it and realised that over the years, there have been small but significant pushes in the right direction. It’s never too early to introduce your child to books. There is a plethora of books available that a baby or a toddler will enjoy looking at, cloth books, textured books, peek-a-boo books, board books or water-proof books to play with while they are having a bath. Each of these books provides a stimulating experience for your child and introduces her to a world of books in a fun and engaging way. As she gets older, introduce her to picture books or funny stories with repetitive punch lines and rhyming patterns. Set aside 10 minutes of your daily schedule for reading. A bedtime story usually works to get her into bed on time as well as introducing her to a world of imagination. Let her pick the story each night. Don’t be surprised if she chooses the same story over and over again. Children love repetition. Be silly and funny when you read to her. Change your voice to be a roaring lion or a high pitched squeaky mouse. Have fun and enjoy yourself. If you read aloud because you have to and not because you want to, your child will sense it in your tone and body language. Some of my favourite authors for read-aloud stories are Eric Carle, Julia Donaldson and Dr Seuss. Don’t buy books and keep them on a high shelf that she can’t reach. Your child should be able to look at and touch a book whenever she chooses. Keep the books at eye level. If you have space, create a reading nook for her. A cosy and comfortable spot with a couple of cushions and a tray of books is all you need. It doesn’t matter if you are reading the latest Chetan Bhagat or if you are reading Gabriel Garcia Marquez, there are no judgements here. As long as you have a book in your hand, your child will feel encouraged to pick up a book herself. Find an author or genre you like and make the time to read for yourself too. Play word games with her. Use descriptive words in your everyday parlance. Don’t say, “I’m very hungry.” Say “I’m starving”. The more vocabulary you use while conversing with her, the greater the bank of words that she will have for when she eventually starts to read. Then, when she comes across a word, she will know what it means as she has heard it before. These are words that your child will encounter regularly while reading. For example, good, and, because, this, that, etc. As children get older, they learn to read and recognise alphabets. They learn to read words using tools like phonetics. But, what makes them a reader is their fluency. Their ability to read and comprehend what they are reading whilst still reading it. By recognising high-frequency words, they learn to make sense of the whole sentence very quickly and are able to read faster. This allows them to actually enjoy the story rather than struggle to decode the words. You can find a listing of high-frequency words here. Once a child learns to read, we tend to stop reading aloud to them. Change the books you read to her instead. Pick an age-appropriate book and use your bedtime story ritual to read out a chapter to her. Encourage her to read the next chapter and tell you what happens. My older son’s first big book was The Magic Faraway Tree by Enid Blyton. It started as a read-aloud storybook but he couldn’t wait for bedtime for the next chapter and started to read it on his own. He struggled to read initially, but the more he read, the easier it got. A weekly expedition to the library will introduce her to new books and keep her interest engaged. It also provides you with an opportunity for some one-on-one time. Allow her to lend books to her friends. Make reading a social activity. If she likes listening to music, occasionally switch from Taylor Swift to an audio book. Listening to an audio book on a long car ride is a great way to spend time. If she likes watching movies, encourage her to read the book before she watches the movie. Discuss which version she liked better and why. Allow her to pick whichever genre she likes. Whether it’s science fiction, a mystery or a biography, there is something for everyone. Even magazines or comic books work. Subscribe to a weekly magazine or comic. Whatever it takes to get her started. Provide them with options that you know will interest your child. A child who has obsessively watched Star Wars will love a book on the making of the movie. However old your child is, it’s never too late to develop a love for reading. 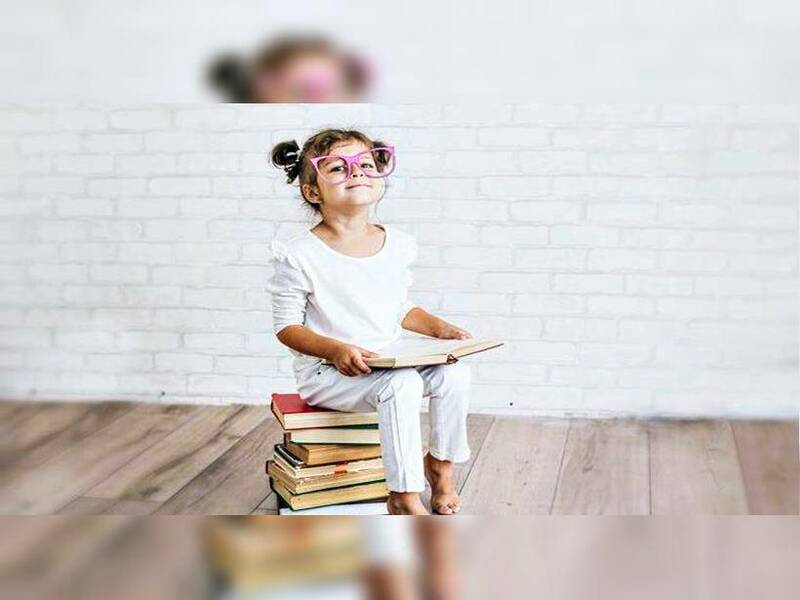 Make those small but significant steps in the right direction and watch your child discover a world that will stimulate her curiosity, expand her knowledge base and broaden her world view. 3 DIY: Make a sheep with earbuds!